Franklin businessman Bill Lee, Congressman Diane Black, Knoxville businessman Randy Boyd and Clarksville Senator Mark Green prepare for a candidates' forum at the Stones River Country Club in Murfreesboro. 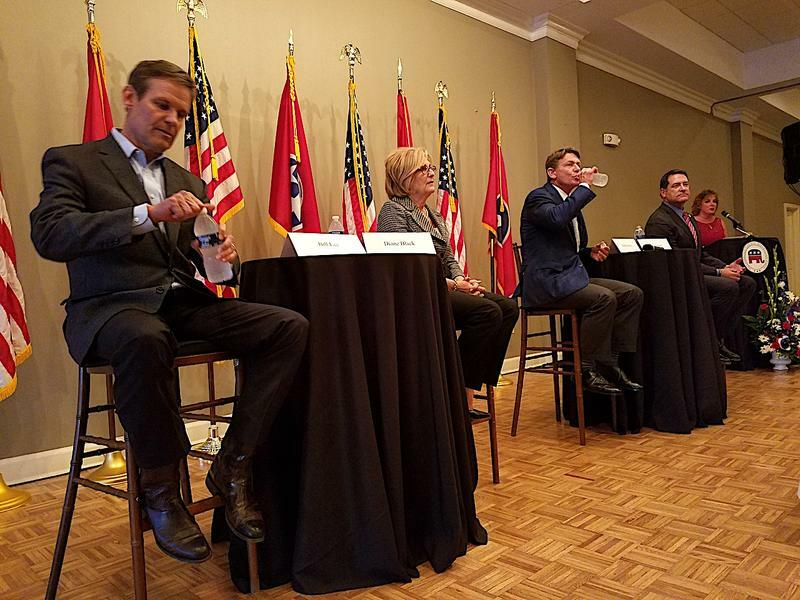 The speakers at the Stone River Country Club in Murfreesboro included the two confirmed candidates for the Republican nomination: Knoxville businessman Randy Boyd and Franklin businessman Bill Lee. And, two who are still making up their minds: Congressman Diane Black and Clarksville Senator Mark Green. "Rutherford County is one of the hearts of conservatism in Tennessee," Green said. "It's one of the most conservative counties in the state." One person who wasn't there was House Speaker Beth Harwell. She claimed a family emergency. Memphis Senator Mark Norris and Mt. Juliet's Mae Beavers also didn't attend, even though they too might run. The crowded field means an intense competition for campaign dollars and votes. On the other hand, the winner could take the GOP nomination with a small percentage of the vote — perhaps as little as 20 or 30 percent — and have the inside track to becoming Tennessee's next governor. Hear the candidates forum at the Rutherford County Republican Party's Reagan Day dinner. 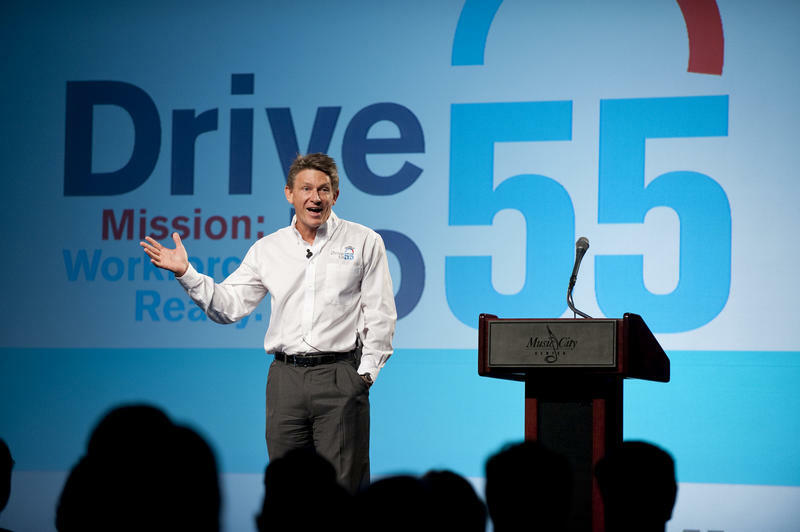 Randy Boyd says Tennessee should not necessarily be run like a business, despite being a businessman himself. He says he's realized that bureaucracy has some benefits. 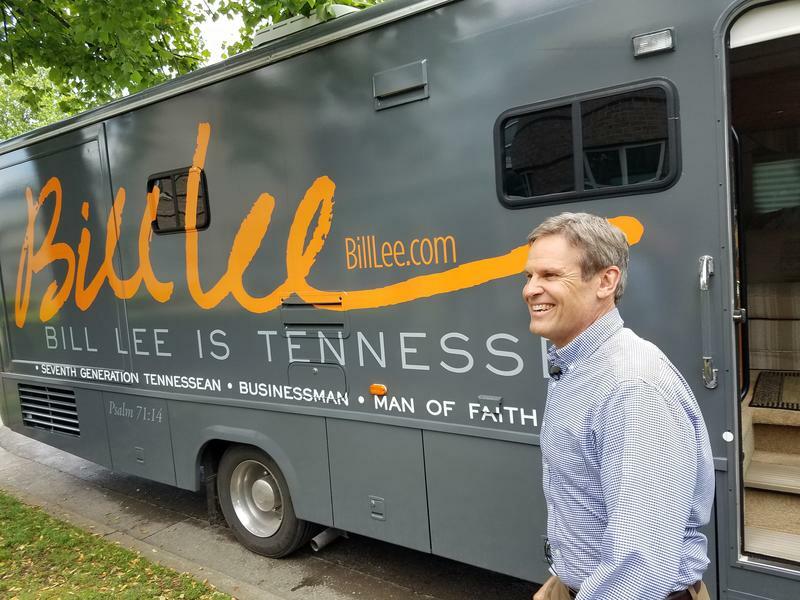 Williamson County businessman Bill Lee officially announced Monday that he's entering the race for governor, hoping to become the first person in 40 years to take the position without ever having held elected office. Lee kicked off his campaign on Nashville's Bicentennial Mall. The chairman of Lee Company, a Middle Tennessee facilities management and home services company, rolled out a recreational vehicle that he plans to take around the state to introduce himself. 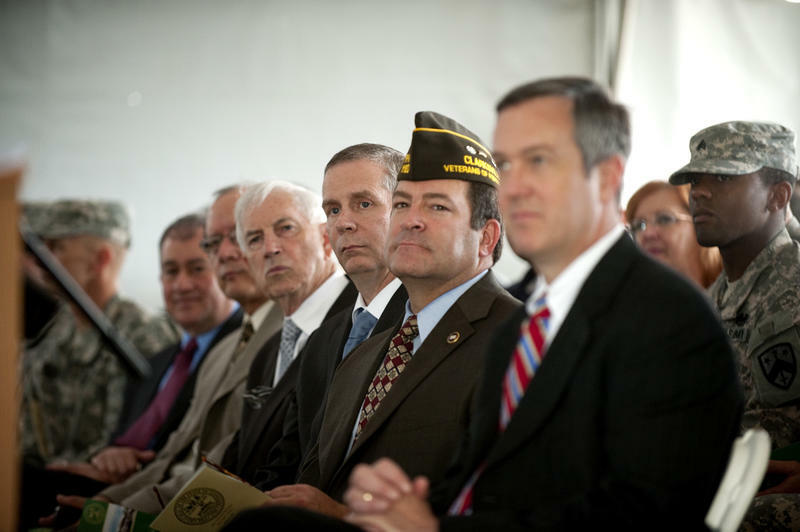 A Clarksville lawmaker has been tapped to serve as the nation’s next Army Secretary, thanks in part to Tennessee Senator Bob Corker.